Town Mill welcome 10 by 8 Print Studio. Book your workshop now. In this fun and easy print workshop, we will be exploring mark making, colour and shape to create a fabulous set of cards and giftwrap. Learn how to design, create and print your ideas onto your choice of product. Choose to print your design onto either a Fair Trade organic cotton tote bag or tea towel. Suitable for beginners and those, who wish to refresh their skills. Join us for a chance to experiment with colour, shape and texture, in this mono printing workshop. Set amongst the fields in rural Devon, we are a small independent print studio. Karen Bowskill is a Printmaker and Tutor based in the South West of England. Her work reflects the space, energy and movement found in the surrounding area. She predominately produces Monoprints and Drypoints, but has recently become interested in block printing with Lino onto fabrics. 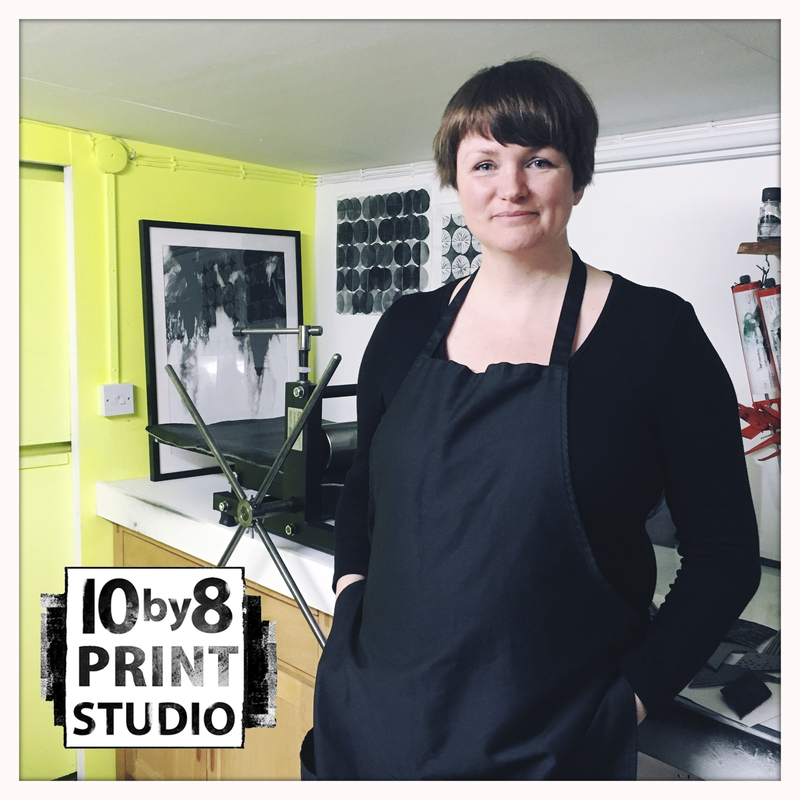 ​Karen studied Fine Art Printmaking at Loughborough University and worked for many years as a Life Skills tutor in London and Bristol. ​Her enthusiasm for printmaking and working within a creative community is very apparent. She is inspired by the idea of building confidence and well-being through creativity. Equipped for teaching on a 1:1 basis or in a small group setting, we offer a range of workshops, from Monoprinting, Collagraph and Drypoint to Lino printing fabrics. Find us upstairs, in the newly refurbished Attic Bakehouse.